Here is Some Information about Jagannathpur Temple in Ranchi Jharkhand India. 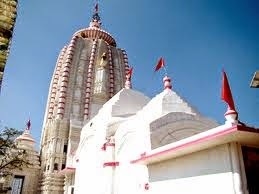 Jagannathpur Temple is located in the capital city of Ranchi in Jharkhand. 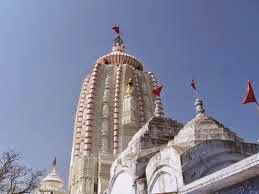 Jagannathpur Temple is one of the major tourist attractions at Ranchi, apart from being its famous pilgrimage center. The Jagannathpur Temple was constructed by the king of Barkagarh Jagannathpur, Thakur Ani Nath Shahdeo. The Jagannathpur Temple at Ranchi was completed on 25th December, 1691. The Jagannathpur Temple in Ranchi is located at a distance of 10 kilometers from the Albert Ekka or the Firayalal Chawk through the HEC colony. 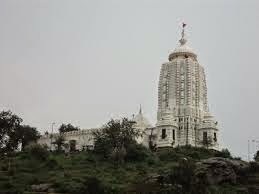 This temple of Ranchi is placed over the top most point on a small hillock. 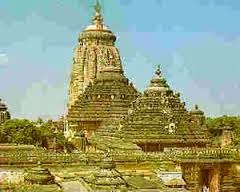 The temple resembles the Jagannath Temple of Puri in the state of Orissa quite a lot with similar architectural style. It is however smaller in size than the Jagannath Temple in Orissa. At the Jagannathpur Temple, an annual fair is also held every year during the festival of Ratha Yatra. This fair is also quite similar to that of the Ratha Yatra at the Puri's Jagannath Temple. This is a major attraction in Ranchi as thousands of pilgrims flock to the Jagannathpur Temple including the tribal as well as the non tribal devotees. However the Jagannathpur Temple collapsed on 6th August in 1990. Since the 8th of February, 1992 restoration and reconstruction work have been started. The Jagannathpur Temple was constructed by the king of Barkagarh Jagannathpur, Thakur Ani Nath Shahdeo. 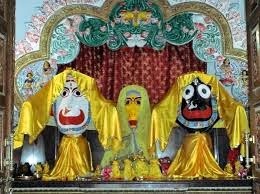 The Jagannathpur Temple was completed on 25th December in the year 1691. This temple of Ranchi is placed over the top most point on a small hillock. This temple resembles the Jagannath Temple of Puri in the state of Orissa quite a lot with similar architectural style. It however seems to be smaller in size than the Jagannath Temple in Orissa. At the Jagannathpur Temple, an annual fair is also held every year during the festival of Ratha Yatra. This fair is also quite similar to that of the Ratha Yatra at the Puri's Jagannath Temple. This is a major attraction in Ranchi as thousands of pilgrims flock to the Jagannathpur Temple including the tribal as well as the non tribal devotees. 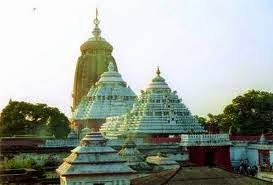 However the Jagannathpur Temple had collapsed on 6th August in 1990. Since the 8th of February, in the year 1992 restoration and reconstruction work have been started. By Road: Ranchi is well connected by road transport to other cities. By Rail: The Nearest railway station is Ranchi junction. By Air: The nearest airport is Birsa Munda Airport at Ranchi.